ASM LR19 is a solid sensor mechanism designed for absolute and incremental encoders. 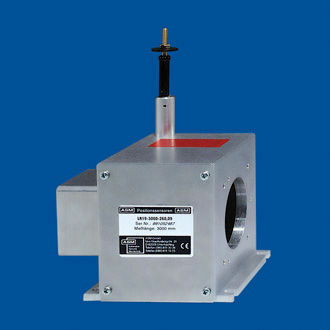 This sensor mechanism is made from Aluminium, stainless steel and plastic with stainless steel cable. The sensor is implemented with a synchro and clamping flange assembly. The measurement range starts at 0-1250 mm up to 0-15000 mm.